If it weren't for some of the junior members of our staff, we would live a very dull life! On the 2nd, after a dramatic day of rain storms and wind which swept the lawn of leaves at little trouble to ourselves, a very dark evening descended upon us. 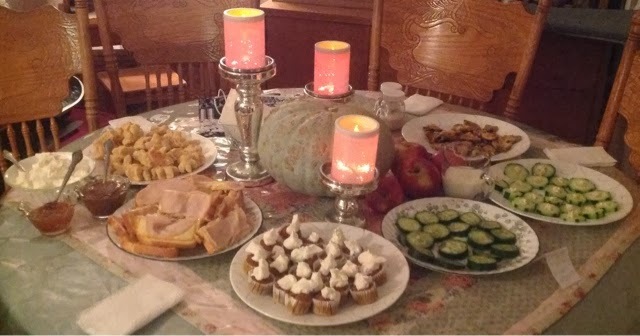 Our little gifted hostess wanted to have a tea party to celebrate the new month of November. A tea party...right now. Since it was about supper time, it was decided we would have tea for a light supper, for a change. 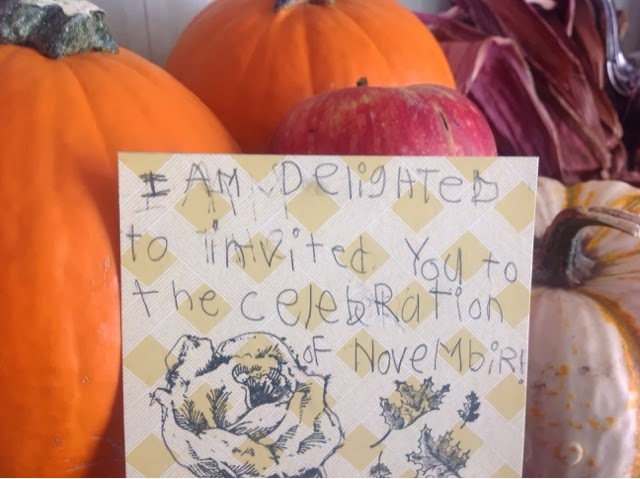 While the cooks in the kitchen started the menu that the hostess wrote out, the latter sat down and created invitations. Who could refuse such an invitation? Not one!